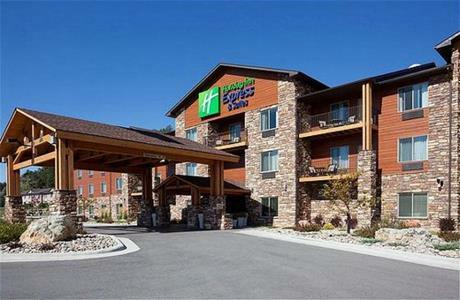 A seasonal, contemporary option for lodging in Custer with exceptional services and amenities. All the modern comforts of home to complement your vacation. Hospitality at its finest with award-winning Custer lodging and a stopping point for local tour buses. An affordable option by Mickelson Trail that’s ideal for travelers looking for adventure in wild Custer. 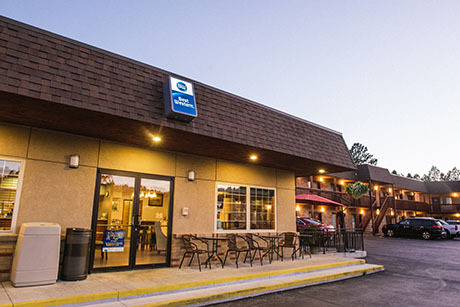 Open year round and perfect for travelers seeking extended stay and pet-friendly accommodations. A unique campground that’s perfect for groups and adventurers of all ages! Welcome to a new frontier of lodging. Here at Custer Hospitality, we are fiercely dedicated to providing you, your family & friends an amazing vacation in our award-winning properties. You can escape the daily grind into a wildly comfortable hotel retreat with modern design, vibrant spaces, and convenient amenities while you’re soaking in the mountain views. 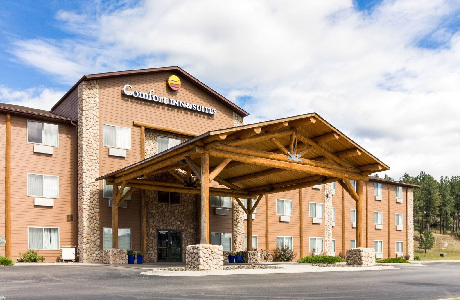 Located in the heart of the Black Hills, you’ll have backyard access to explore outdoor attractions, delicious local eateries and bustling local festivals that surround our hotels. 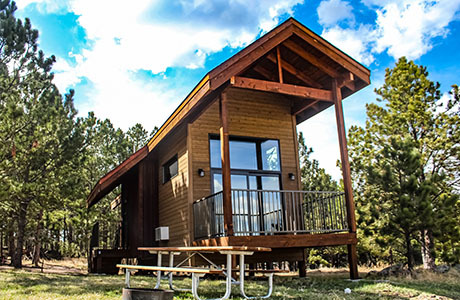 Custer Hospitality provides an easy solution for travelers wanting the quintessential Black Hills experiences with an added personal touch of warm hospitality. Our this exceptional group of skilled hoteliers are can’t wait to help you get out there and start exploring. Custer Hospitality is where the adventure begins. Are you ready to start exploring? Buffalo Ridge Camp Resort delivers a menu of adventures rentals and unique camp lodgings – all against a stunning natural backdrop. Our Camp Resort is built for wanderlust travelers ready to hike farther, ride deeper, climb higher and take relaxation to the next level - unpack your gear and settle by our fire. 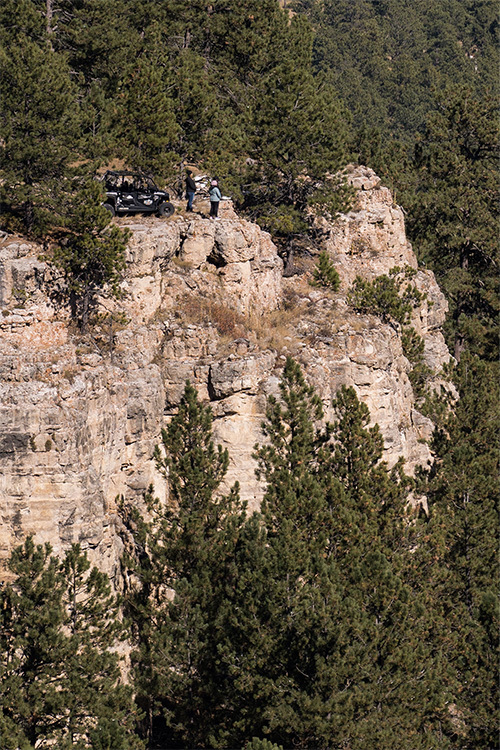 Discover Custer, where you can find big adventure with small town charm, and where you are literally minutes, not miles, from every must see in the Black Hills! Greeting guests for more than 125 years, the oldest city in the Black Hills, Custer is a small western town brimming with so much opportunity to explore. Here you’ll see where buffalo roam, walk through maze-like chambers, and view Mount Rushmore up close. Explore the world's largest mountain carving at Crazy Horse Memorial, then head to nearby Custer State Park, home to roaming buffalo, lakes, and trails. Discover sparkling calcite crystals at Jewel Cave or meander through maze-like chambers at Wind Cave National Park. 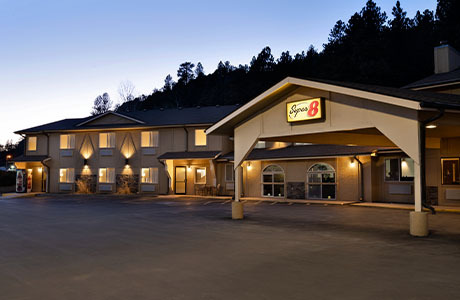 In the heart of the Black Hills National Forest, Custer is a place where you can escape from every day and with Custer Hospitality Hotel Group you can take relaxation to the next the level.